Here we are again. Ulrikke Høyer’s story regarding Louis Vuitton’s far-flung Resort 2018 show and her experience with its casting team, which was posted on Facebook and Instagram on May 18th, joins the scores of familiar sounding model anecdotes. Her story begins like this: “I just returned from Tokyo/Japan, where Louis Vuitton held a beautiful cruise show in Kyoto (the 14th of May), I just never made it to Kyoto cause I was canceled for the show due to being ‘too big’. (I’m a size 34-36).” Being cancelled from a show is nothing new, something Høyer herself admits, and even being told you’re ‘too big’ seems to be something the models are hardened to hear, after all it is a job based on appearances and your ability to fit the samples. That’s where it gets tricky, as the model’s well-being is often dangerously removed from the equation. But Høyer also knows the extreme side of this mentality, “Many of the girls don’t have their periods, and/or changes the color of their skin because of bad and incorrect nutrition and almost everyone have a completely distorted relationship with food. Ulrikke got news that her 12pm refitting had to be rescheduled, which she would find out meant it was indefinitely rescheduled, the 20 year old Danish model had been cancelled from the show altogether, Ashley Brokaw’s camp reportedly citing in an e-mail Høyer fit the dress, “differently than in Paris.” When she learned this, she writes, “I didn’t know whether I should cry or laugh. The look that Ulrikke was to wear never made it to the runway, probably cut and probably for reasons that had little to do with Ulrikke’s body, raising the question in her head “…then why the need of harassing me.. saying/writing these things to my agents?” saying later in her post, “I cannot accept the ‘normality’ in the behavior of people like this.” Unfortunately this type of behavior has become something of the usual-unusual treatment. 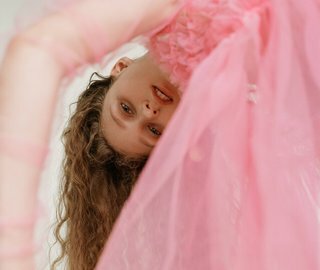 Industry-wide unrealistic, dangerous expectations paired with harsh interactions insensitive to the young age of its models has obvious harmful consequences. Who would have thought? This dismissive behavior towards models, and apparent harassment, keeps getting swept under fashion’s figurative rug; one that’s getting awfully hard to walk on. Did you ever second guess yourself as you were writing the Facebook post? Yes many times. I didn’t have the best sleep last night as I was shifting between if I should or not. You know I didn’t want to sound bitter or hurt by being canceled from a show. When you reach into the “higher prestigious” end of the fashion business, you are also lucky and told how amazing it is that you simply lose sense in what is right and wrong, it becomes the norm. At the same time I am grateful to Louis Vuitton who were some of the first ones to believe in me and when I had my doubtful moments yesterday it’s because I then felt like a traitor. You know I love working as a model also when it’s hard mentally and physically but it must make sense as well. As a model do you feel pressure to be silent? To not speak out. Of course, it’s kind of the job. We enter this knowing we are a product bought for the day and that we in the end are nobody and after we have been here, the same decision makers will still decide who is who and what is what. That’s fine with me, I get it. During my young life, I’ve heard fashion stories about models saying something and everybody goes crazy and then it dies again. It will be the same here, but I made a decision that I never want to be treated like that again and if this was my last job then so be it, so I thought at least I should try and help all the ones who really want this badly to have better conditions…it’s a little hope. I wanted to know if you felt more unafraid to speak out partially because of all of the recent discourses and first-hand reports that had been published online and the support that people had shown towards those incidents of mistreatment. Yes definitely, I feel that it could be a movement and if my story can keep that ball rolling then maybe there is a slight hope for change. And hey it’s not that hard as I work with other teams and designers where it’s great. Naming names–Do you feel it’s the only way change can come, which is by holding people accountable for their actions? YES! It’s the only way – otherwise you wouldn’t ask me these questions. What did you want people to take away from your speaking out? Did you hope to motivate other models who have perhaps stayed quiet when they felt mistreated? As the industry stands, do you feel empowered or the opposite? I only feel empowered if people (who agree) stand up for this and backs it up, otherwise it will lose attention and things go back to how it was before. AGAIN I’m not saying that everybody and all companies are bad, far from that, but some are. What advice would you want to give in regards to managing your own well-being while being subjected to often unrealistic expectations? Get knowledge, work to the max and if your max isn’t healthy mentally or physically or taking you further then look for something else. like any business if you don’t like it move one, in modeling and even tech there is always a new model and you can’t complain about everything as no one will hire you or buy your product. It seems all real women are just too fat for these fashion designers! Why shall us ladies buy anything from your line ? Nobody wants to see these skeletons walking down the runway! This story should be forwarded to Sara Ziff at the Model Alliance. Topics like this are what they champion for model rights. Sorry honey but I really don’t understand why you rant? Louis, like every other employer has right to choose whom is going to represent them. Like if u have a football team, and a coach picks a wing player for the next season, there is one young player that catches his eye, he has nearly everything needed to perform at his position in a team: Stamina, dribble, flair, cross, creativity… but he lacks speed. Coach tells him: We need you to run 50 meters in 5.5 seconds or less, your time is at 6 seconds now, you got few weeks to prepare, we like you, we wanna give u the chance to play as first team member, but you need to improve your speed. CAN YOU TELL ME WHAT IS THE DIFFERENCE BETWEEN THAT YOUNG PLAYER AND YOU? IT IS SHAME THAT YOU WERE GIVEN THE CHANCE TO RAISE YOUR STATUS, AND YOU JUST COULDN’T MEET REQUIREMENTS GIVEN. NEXT TIME, FOCUS, INVEST YOURSELF MORE, AND YOU WILL SUCCEED. I hope that slowly the time of this rude and arrogant casting directors will be over. They became to much power for no reason. Plus let also the models talk and hear all the stories how it works. Casting directors chasing every season new exclusives for Prada or LV and right the season after nobody cares for them. Who needs this? And exclusive always meant something exclusive not 300 girls exclusive on one season. In a time of no casting directors exclusive meant 5 star hotel business class ticket and fat check. Today low cost airlines, cheap motel and some pocket money. So I think after more and more stories comes out it will be bye bye to all the big casting directors that nobody really needs. I am curious if the girl would get full fee if it wouldn’t be that publicised. Unfortunate situation. Seems like both sides don’t understand each other. I don’t understand why there is so much emphasis on the hip size when the waist size was in question in this situation. The two don’t go hand in hand. I think this all can be solved if agencies scout young adult women who are finished with puberty. That is the only way to know if they were really meant to be doing this. There are so many healthy normal non-model women who are actually smaller than models so it is absolutely possible. The only issue with this direction is that there will be fewer models and many of our favorite models would have never been able to model before. Whoever complains first, is right. That is how it usually goes. I’ve seen the responses from the “other side” and they seem justified and plausible. People just stand up for the “victim” more easily. She looks amazing and I hope she still gets work even though she spoke out! Let’s not pretend shaming a model over one inch or even half an inch isn’t rediculous. I’m sure there are designers who would hire measurements 26-36. She honestly probably could have fit the clothes with spanks. Maybe agencies should invest in scouting healthy adults who meet the requirements than investing in young girls who haven’t reached puberty yet. That way young girls won’t turn to unhealthy eating habits and uping the age requirement gives younger girls a better chance at losing weight healthily. It also gives older girls a chance. Ulrikke looks great and I hope her career isn’t over! This is beyond horrible. She was put into mental and psychological abuse by these people. Same with Maida and Rami closing the lights on the girls at the Balenciaga casting earlier this year. These people should be brought back to earth and be retaught their morals and basic human decency.